On the front of this pillow is the colorful heart that says "love". On the back there is a pocket with Isaiah 43:1-4. Inside the pocket are eight pages of note cards for the receiver to write her own thoughts, prayers, wishes, concerns, etc. and leave them for God or to write a note to a friend or family member. 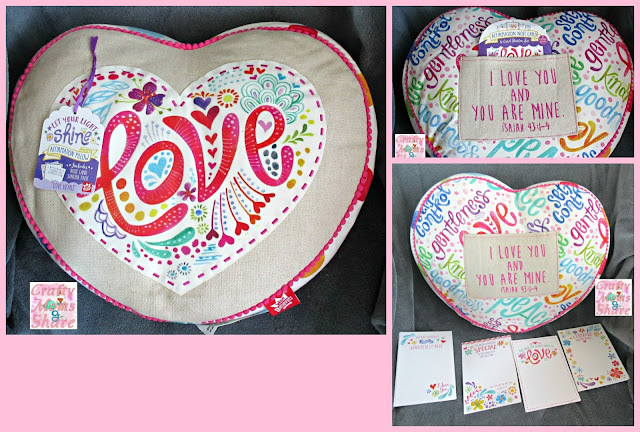 This pillow sends the message that the receiver matters and is loved. What an important message for any tween girl to hear. 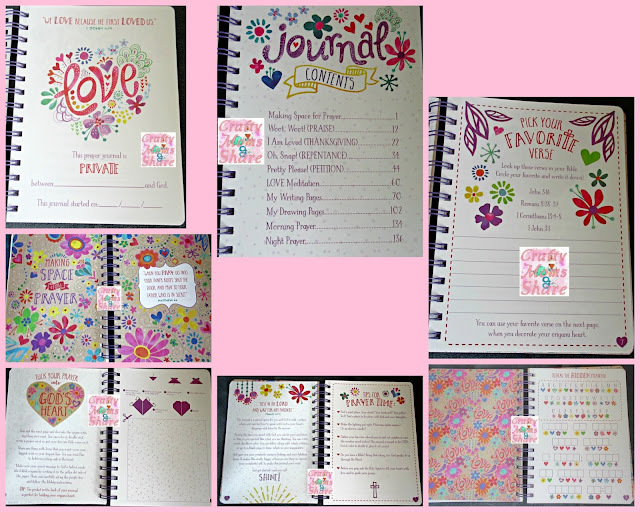 Next is the Love Devotional Journal. The journal is amazing. First there is the dedication which lets all others know that this journal is for the tween girl and God. Then there re pages that give advice on praying as well as activities, puzzles, crafts and prayers. Plus there are of course blank lined paper, so the girl can write whatever is on her mind and in her heart. I love how this journal (as well as the others in this line) promote writing your thoughts to God and sharing them with Him. I know Hazel is always pulling out her Joy Devotional Journal that we reviewed last year. She loves it and is going to love this one as well. I love how the activities focus on how God loves us. Our next item is the "Love" Medium Accessory Case. 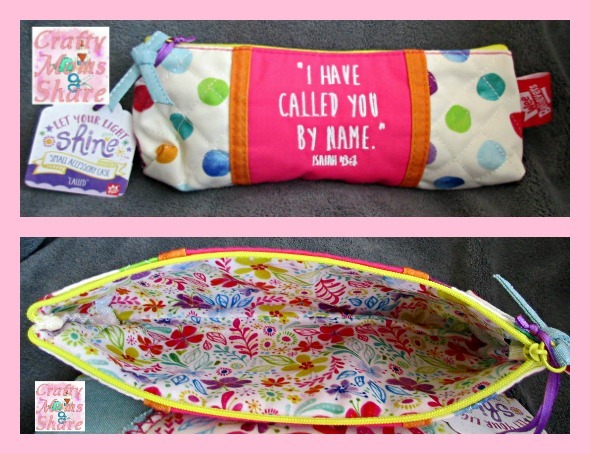 To go with the Love Devotional Journal is this fun accessory case. It is perfect for markers, scissors, craft supplies or even for notes, pictures and things to remind you of what you love or who loves you. The pouch itself is colorful and the inside is even more colorful. Plus it has other great inspirational words inside it. The perfect place for a creative girl to keep some of her supplies. Our final item in this gift pack is the "Called" Small Accessory Case. Now I just want to go get a set of gel pens to put in this wonderful case. It is the perfect size for one. I love that it has Isaiah 43:1 on it. God calls us by name because He loves us and knows us personally. Such an important message for anyone but especially for those tough tween years. Now to go find a full set of gel pens to put in there for Hazel so she has them to use in her new journal. Now it is your chance!! 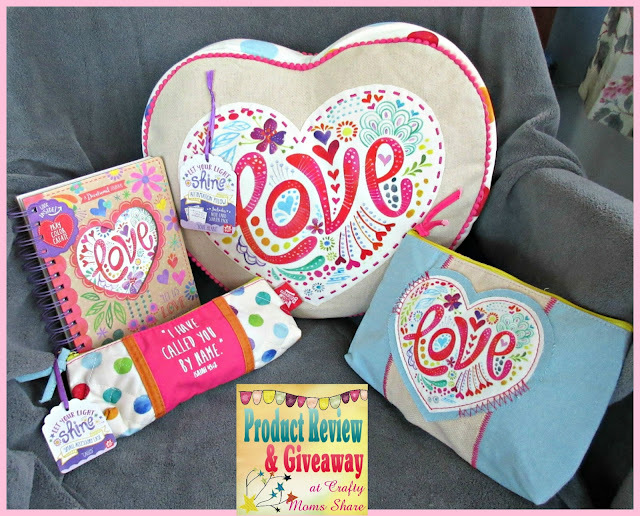 Enter to win your own Wee Believer Gift Pack. The entries require action on Instagram. Remember to follow my giveaway rules and good luck! !